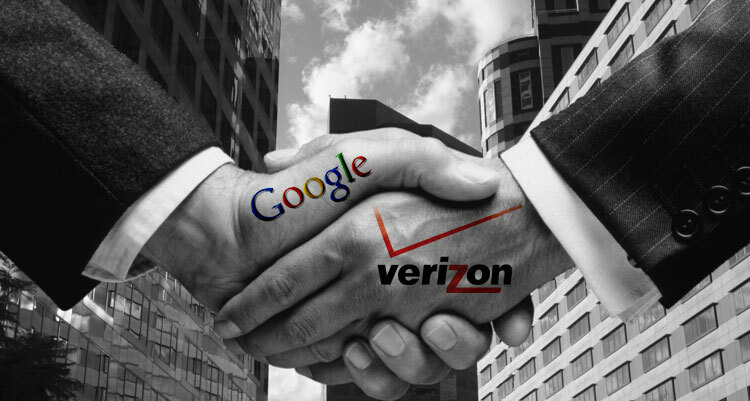 Verizon and Google’s Net Neutrality Agreement Explained: What Does it Mean to You? Google has to be thinking twice about that “don’t be evil” bit permanently lodged in its corporate motto. After meeting behind closed doors with Verizon, the company emerged on Monday with a set of guidelines for allegedly preserving net neutrality, which many of the concept’s most virulent supporters say grinds the principle to dust. How can the two sides see the same language so differently? What are the stakes for the average American? Here’s a quick overview of what Google and Verizon’s net neutrality agreement actually proposes in laymen’s terms – and what it means for you. Remember when Senator Ted Stevens described the Internet as a “series of tubes? More than just a monument to the ignorance of politicians, that was a cantankerous, near-senile old man’s attempt to explain net neutrality. Let’s see if we can do better by stealing Google’s own description from 2006. Forget the tubes and imagine a highway. When five o’clock hits, everybody sits in traffic as the roads fill up with cars – which represent data, here. With net neutrality in place, every piece of data waits in line the same way the cars do on the highway. It’s fair. The lack of net neutrality is like throwing down cones to make the left lane a high-speed toll lane. Can’t pay? Sit in line with the schmucks. It’s not a perfect analogy, but it gets across the basic principle: Rather than splitting a public asset (roads or in this case, wireless airwaves) equitably, the guys with the most cash get the rule of the roost. What did Verizon and Google agree on? On the surface, the companies agreed that net neutrality was a good thing and that the FCC should be able to enforce fines for companies that don’t abide by it, and that carriers should be forced to share information on how they route traffic for transparency. You can read the exact language here. They also created a lot of loopholes and exceptions, which is why a lot of folks are all bent out of shape by it. The document has two major exceptions to net neutrality as it is written. The first, and most broad, basically exempts wireless carriers from all the rules except transparency. In other words, they can play favorites and route traffic however they want, as long as they tell us how they’re doing it. Only wired carriers would be subject to net neutrality principles, and even they would have some creative leeway. The second allows for “differentiated managed services” that would be exempt from the neutrality given to other traffic. The document gives the examples of “health care monitoring, gaming, smart grid, and advanced educational services.” Although it explicitly claims these could not be use to circumvent rules, it provides no guidelines for which types of services warrant exemption and which belong in the same stream as everyone else. What do net neutrality advocates make of it? Public Knowledge, a public interest group concerned with digital issues, has made “Google sold you out” its war cry. “This agreement would, among other things, allow Verizon to prioritize applications and content at whim over its mobile broadband network,” the group claims. Why are Verizon and Google making laws for themselves? The guidelines set up between Google and Verizon aren’t actually laws anyone else has to adhere too – they’re simply a “proposed Internet framework.” The companies hope the FCC will adopt the language and cement it as the law of the land, but for the moment, they’re just words on a page. Recently, the FCC has been courting telecom companies – including Google and Verizon – for input on net neutrality rules, but it nixed these meetings last week under intense public scrutiny over the lack of public input. Many critics also question why the FCC is asking the companies it should be regulating for input on how they should be regulated – like a parent asking a four-year-old what would be a reasonable bed time. What will happen if we lose net neutrality? In practice, this would mean that a service provider like Verizon could charge a company like Google for access to that special high-speed toll lane for data. As an end user, that might mean that Mapquest and Bing Maps now load much slower than Google Maps. Hotmail and Yahoo mail load slower than Gmail. Yahoo and Bing searches take longer than Google searches. The plethora of choices you take for granted on the Web begin to evaporate when the biggest player in any space is able to pay for priority handling, shutting out competitors. Internet service providers could also decide to throttle down services they see as threats to their own business. For example, Comcast could choke bandwidth for sites like Hulu in order to force consumers into its own cable TV packages.